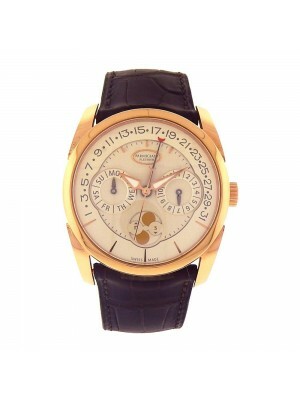 Pre-Owned Watch. 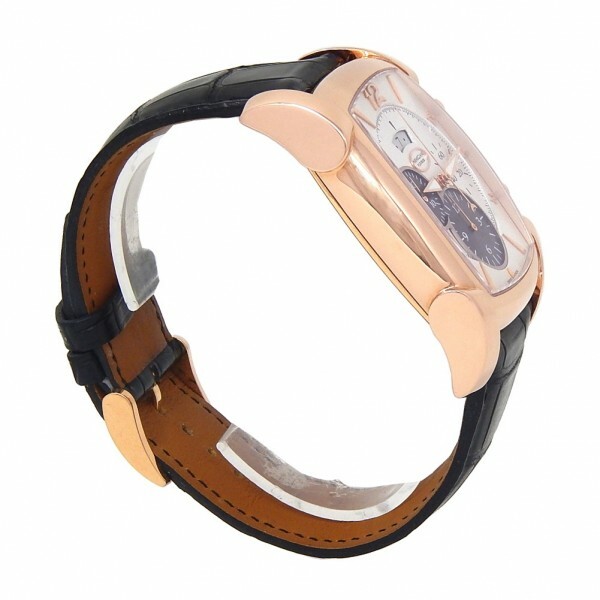 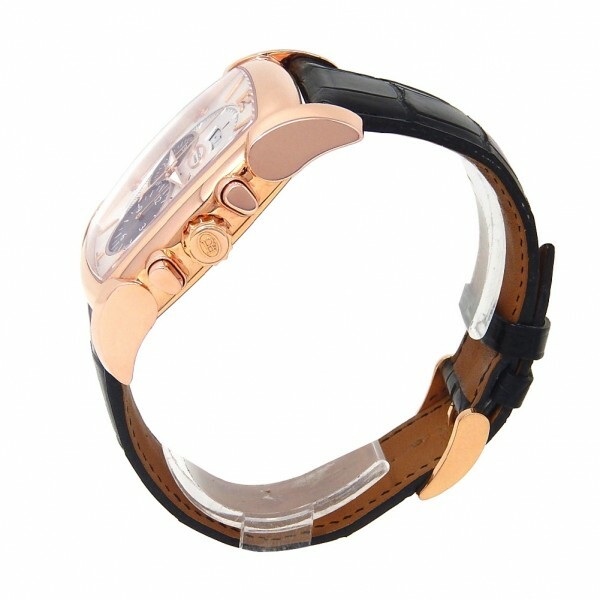 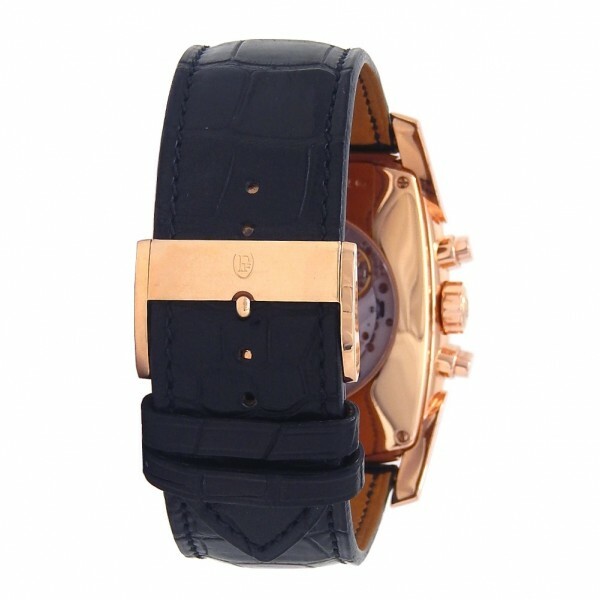 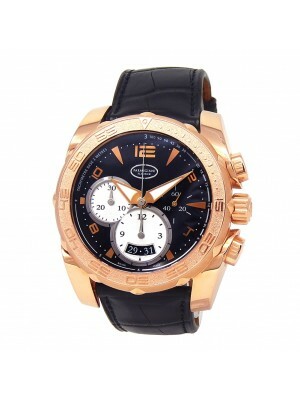 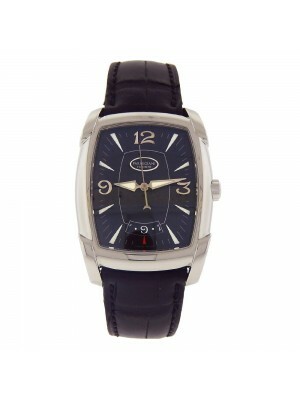 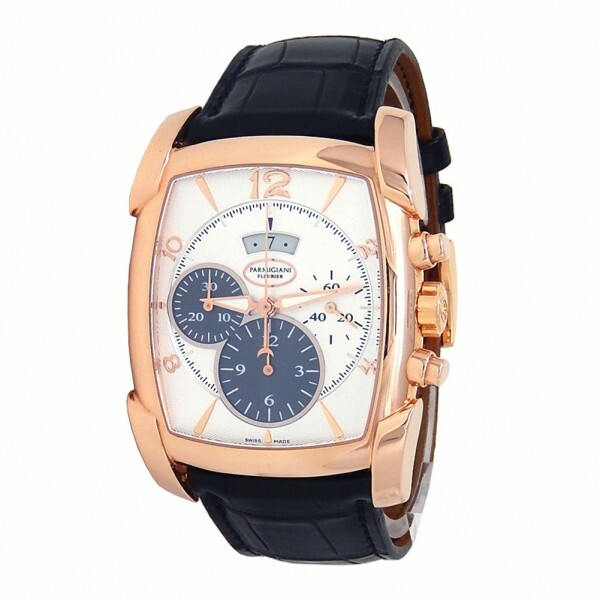 Parmigiani Fleurier Kalpagraphe Chronograph men’s watch with 18k Rose Gold case and Black Leather strap. 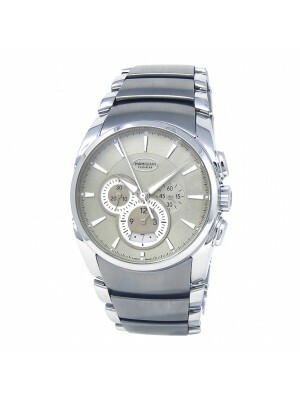 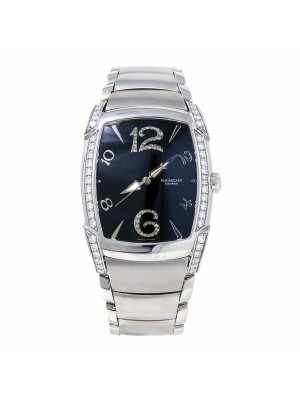 Watch has a silver dial with date and chronograph features. 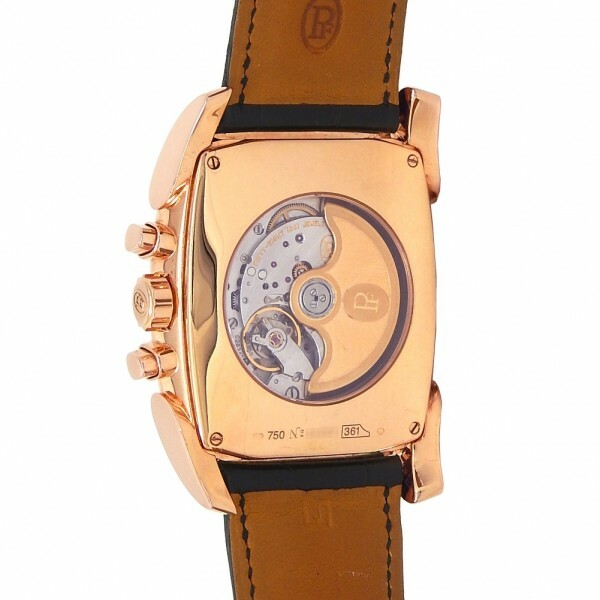 Watch runs on automatic movement. 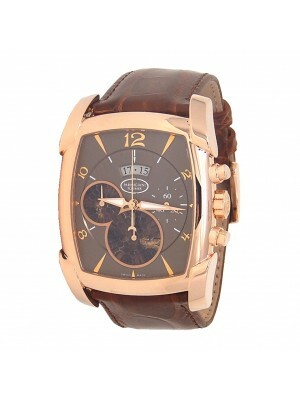 Watch does not come with box or papers.